New Low Headloss Static Mixer Reduces Flooding and Fouling. The Westfall Open Channel Static Mixer 5000 introduces a new global standard in open channel mixers. The recently patented design offers a simple infrastructure solution that is applicable worldwide. One to three hydro-dynamic vanes are anchored linearly along the bottom of the open channel. 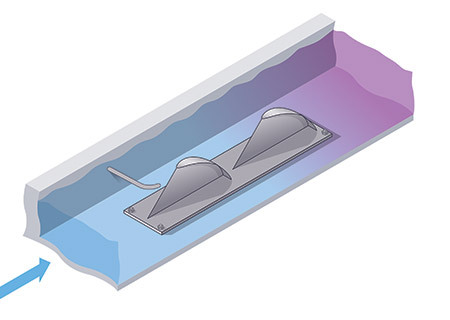 These patented vanes are designed to resolve the major problems engineer’s face (such as fouling, pollution from runoff, reduced flow caused by drought and flooding from excessive headloss or storms) when moving water along open channels, ditches, conduits, canals, tunnels and aqua ducts. To counter these problems, the angled vanes are designed to resist fouling, improve mixing and reduce headloss,. CFD tests conducted by Alden Laboratories predict that the single vane model has a CoV of 0.134 and headloss of 0.89. The two-stage version has a CoV of 0.062, with headloss of 1.78. The three-stage version has a CoV of 0.016 and headloss of 1.82. Open Channel Static Mixers, as opposed to Dynamic Mixers, contain no moving parts. They require little external energy to operate. There is a continued need worldwide for open channel static mixers that achieve the same or better mixing outcomes as propeller and rotating blade mixers, that are less expensive to manufacture and operate, that are lightweight, easy to install and resist fouling. They can be used in remote locations where power is scarce. 1, 2, or 3 (or more) stationary vanes are attached along the centerline of the channel base. These vanes are shaped and spaced to deflect debris and allow an unrestricted flow. 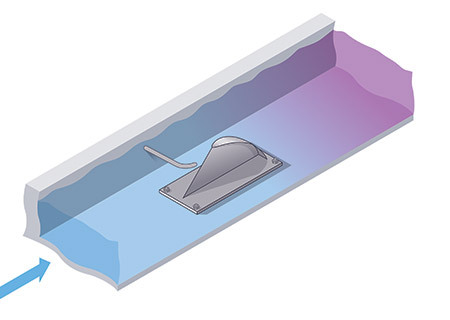 At the same time, the vanes are uniquely shaped and spaced to create the required turbulence for mixing without causing excess headloss or open channel overflow. Debris, like branches, grasses or garbage, foul the channel and the mixing device. The angled upstream edge of the mixer eases the passage of debris. Rapid flow can build up in open channels because of rain or snow-melt. This is an ultra-low headloss mixer. 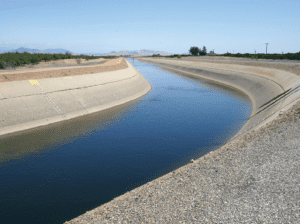 Reduced flow can occur with drought conditions. 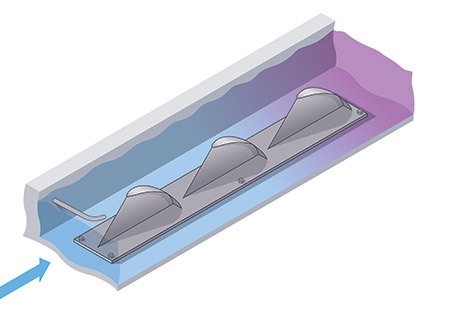 The mixing vanes are engineered to work at lowest possible flow levels. Upstream flooding can occur when a mixer creates too much headloss and water backs up behind the mixer. This is an ultra-low headloss mixer. Water levels change, either seasonally or weather induced. This mixer works regardless of changing water levels. Older installations are aging out. This mixer is an easy drop-in installation for both new installations and retrofits. Channels must flow in areas where there is no available power source. With low headloss, little outside power is required. 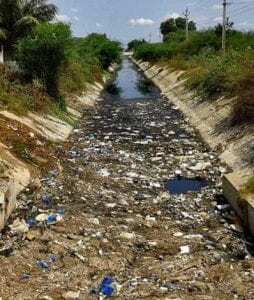 Nitrates from fertilizers in adjacent fields leach into the open channels and pollute the water. By feeding nitrate-eating bacteria into the open channel mixer, nitrates can be removed from the flowing water.